ONE BEDROOM, 1.5 BATH, ON SECOND FLOOR. FURNITURE INCLUDED or NOT. NEW HURRICANE IMPACT WINDOWS, FLORIDA ROOM ENCLOSED, SCREENED FRONT DOOR, WATER HEATER REPLACED 2009, A/C WELL MAINTAINED. 55+ COMMUNITY, LEASE AFTER 5 YRS. COMMUNITY LAUNDRY IN BUILDING. Community has impressive club house with 2 pools, spa, ping pong, billiards, driving range, tennis courts, auditorium, classes, games, dances, bocce ball, gym, library, card room, computer room, entertainment, social events. CLOSE TO BEACH & SHOPPING. 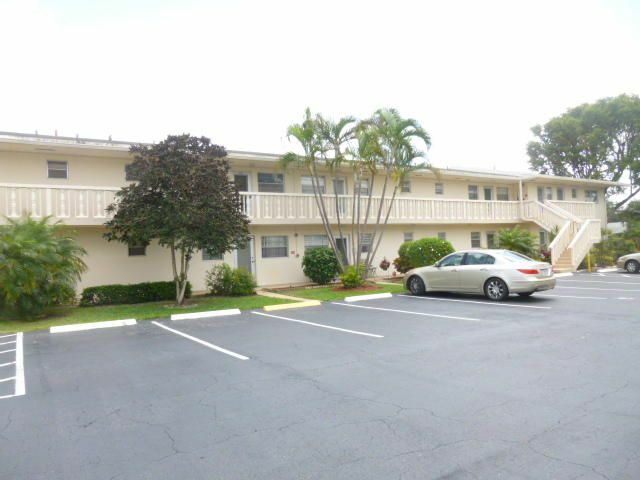 This home is located in VILLAGE ROYALE GREENTREE CONDO 55+ Active Adult Community. As an Active Adult Community Specialist for over 16 years, I know these communities very well. I am a real estate agent who cares. I don't just want to sell you a house, I want to sell you the perfect home that will fit your needs as well as your lifestyle. I live and play in an active adult community and the lifestyle is wonderful. Country Club living without the country club fees. To All of my baby boomers not quite 55 years old who want to live in a 55 plus community, please call me for a list of Active Adult Communities that will allow you to live in some of these wonderful communities! Please call me with any questions that you may have at (561)-306-7430.